Close -Out!! 12 Door (11 Useable Doors) Front Loading Mailbox in Wood Case, Complete! Close -Out!! 12 Door (11 Useable Doors) Front Loading Mailbox in Wood Case, Complete! FREE SHIPPING! Close-Out! 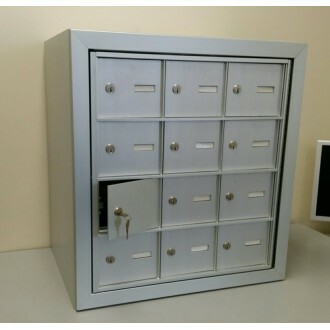 Private Use 12 Door (11 Useable Doors) Front Loading Mailbox Cluster with Outer Cabinet Complete! FREE SHIPPING! Important Note: Used Condition, minor scratches on unit. FREE SHIPPING. Hurry only 1 left! On front-loading mailboxes (shown above) you will lose one usable tenant door to a Master door. Master door will open entire front of cluster for loading the mailboxes. 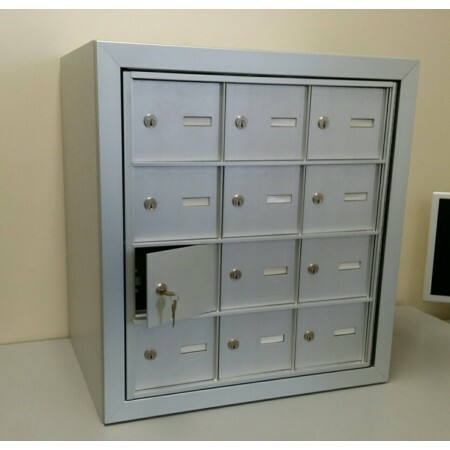 • A cluster of 12 - 6"W x 5"H mailbox doors (11 tenant doors and one master door for loading). 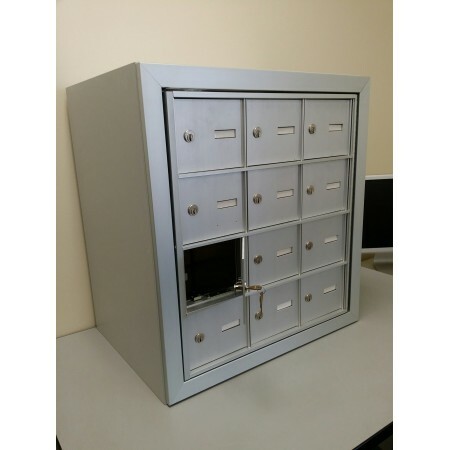 • Each door includes a 5 pin cam lock with two keys. • These mailboxes are for private use. 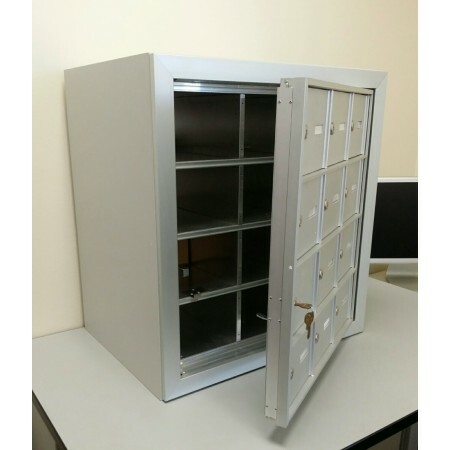 • Each mailbox door is constructed of heavy-gauge aluminum for years of service. • Plastic identification name slots. Note: This is a private use box.